Published by The Conversation. View the original article. By Fiona Crichton, PhD candidate in psychological medicine at University of Auckland. Despite at least 19 reviews of the scientific evidence universally concluding that exposure to wind farm sound doesn’t trigger adverse health effects, people continue to report feeling unwell because they live near wind turbines. We’ve known for some time that exposure to negative messages about wind farms makes people more likely to report feeling sick after exposure to turbines. And new research, published by my colleagues and I this week in the journal Health Psychology, shows positive messages about wind farms may have the opposite effect – improve perceptions of health. Speculation in the media and on the internet often attributes the symptoms to sub-audible sound produced by operating wind farms (infrasound). But the reality is that infrasound (sound below 16 hertz) is consistently present in the environment and is caused by wind, ocean waves and traffic. Importantly, research demonstrates there is nothing unusual about the levels of infrasound produced by wind farms. A study released this week by South Australia’s Environment Protection Authority (EPA) once again concluded there was no evidence linking noise from wind farms to sickness among residents living near the Waterloo Wind Farm. It found that noise produced by the turbines was within authority guidelines and below internationally accepted thresholds for perceiving noise. Interestingly, the EPA report revealed that symptoms attributed to wind farm sound have been reported even when the turbines in question were not in operation. This presents important questions about what may be causing health complaints and how such symptom reporting can be addressed. A recent analysis of noise and health complaints in Australia found that adverse health reports have coincided with negative publicity about the health effects of wind farms. Media reports about perceived environmental hazards can trigger symptom reporting, even when exposure is to something harmless or benign. This is because such information can create a nocebo response: where it is the expectation of ill effects that lead people to report symptoms. Information about the adverse health impacts of wind turbines can elevate anxiety and create symptom expectations that prime people to notice physical symptoms and sensations. Previous research by my laboratory group showed that providing people with information from the internet that infrasound exposure may cause health problems, prompted them to report symptoms during exposure to both sham infrasound (silence) and genuine infrasound. This indicates their experiences were provoked by symptom expectations rather than any effect of actual infrasound. Curiously, there is information on the internet about the therapeutic benefits of infrasound. Various infrasound devices are currently marketed as tools to alleviate the very symptoms infrasound produced by wind farms is said to create. So we wondered whether creating positive health expectations about infrasound would have improve perceptions of health during exposure to wind farm sound. In our new study, we took 60 participants and divided them into two groups – positive and negative. We then exposed them to audible wind farm sound, overlaid with infrasound, during two seven-minute listening sessions. Prior to exposure periods, participants in the negative-expectation group watched a DVD integrating television footage about the adverse health effects said to be triggered by infrasound produced by wind turbines. Contrastingly, positive-expectation participants viewed a DVD with information from the internet outlining the alleged therapeutic effects of infrasound exposure, emphasising that infrasound is created by natural phenomena, such as ocean waves and the wind. At baseline and during exposure sessions, participants evaluated their experience of 24 physical symptoms (including headache, ear pressure, tiredness) and the extent to which they felt 12 positive mood items (relaxed, peaceful, cheerful) and 12 negative mood items (anxious, nervous, distressed). The results showed that the experience of symptoms and mood during exposure to audible windfarm sound and infrasound was influenced by the type of expectations provided before exposure periods. Negative-expectation participants reported significant increases in the number and intensity of symptoms and a significant deterioration in mood during listening sessions. And positive expectation participants had a significant reduction in the number and intensity of symptoms from baseline, as well as a significant improvement in mood. The fact that negative expectations in the current study were once again formed by watching television material, extracted from the internet, raises important issues about the way in which the media portrays wind farms. If expectations about infrasound were framed in more neutral or benign ways, then reports of symptoms or negative effects could be ameliorated. Interestingly, framing expectations about wind farms in a positive manner could have a positive impact on the subjective experience of wind farm sound. 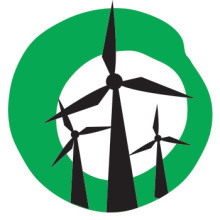 The onus falls on the media to report on health fears about wind farms cautiously, particularly given strong evidence that it is the discussion itself that may be creating and perpetuating health complaints.